TBILISI, DFWatch–A ten seconds long election video has caused a strong reaction from Georgia’s political establishment and calls for using legal means to stop the party behind it. Saturday night and was made by Vladimer Bedukadze, who formed a political party in June called the Centrists. The ad was aired as part of the Public Broadcaster’s free election advertisements offered ahead of the parliamentary election on October 8. In 2012, Vladimer (Lado) Bedukadze, the former prison guard, published a handful of videos of prison torture two weeks before the last general election, causing an uproar which may have affected the outcome of that election. 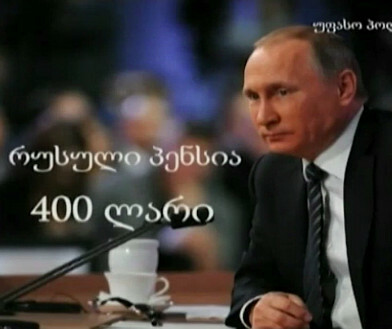 In Saturday’s election ad, Bedukadze and his associate Khachishvili, a former Mkhedrioni boss, speak over images of Russian tanks and flags and a portrait of Vladimir Putin, promising ‘Russian pensions’ of 400 lari, to ‘legalize’ Russian military bases, and introduce a law about dual Georgian-Russian citizenship. The statements sparked controversy on the background of the tense relationship between the two neighbor countries. Eight years ago, Georgia fought a brief war with Russia, which established military bases inside the two breakaway regions Abkhazia and South Ossetia, entrenching the conflict, signing treaties with the de facto regimes and propping up their economies. The ten seconds clip is more crude and amateurish than the rest of the election ads and features only stills and the voices of the two. A wave of protests and criticism followed the airing of the ad, partly directed at the Public Broadcaster for showing it. Discussion turned to legal measures to block Bedukadze’s party, which formed in mid June. 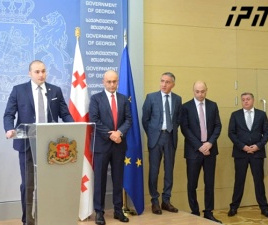 The non-governmental organization ISFED said the Centrist party violated the election code, which prohibits parties from making promises during an election campaign which can endanger Georgia’s territorial integrity or violate its sovereignty. The election monitoring organization previously lost a court case against the Centrists based on the claim that promising ‘Russian pensions’ was in effect vote-buying. On Sunday, the Public Broadcaster halted the commercial and issued a statement that the content of the commercial contains messages threatening country’s sovereignty and may also violate the Constitution. The statement also mentions that according to law, GPB is not responsible for the content of election commercials. 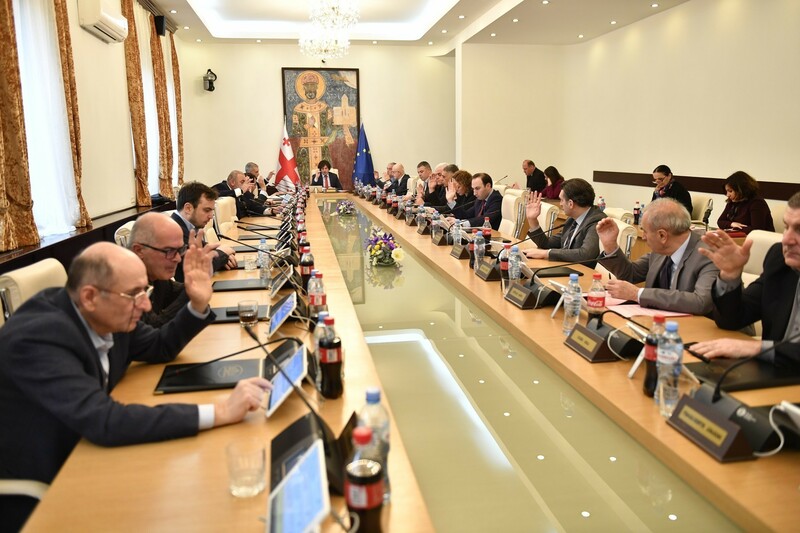 The Centrist party had asked the GPB to allocated free commercial time for the upcoming parliament election, which will be held on October 8. Bedukadze responded by publishing a statement on the website of his new party writing that the opinion of NGOs is not important for him. He also accused NGOs being special intelligence agents of the United States. 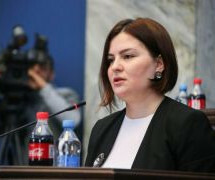 The same day, MP Giorgi Volski from Georgian Dream said that the opinions of Bedukadze and his party are unacceptable for them and GD plans to appeal to the Constitutional Court to void the registration of Bedukadze’s political party. A number of other politicians supported the idea of canceling the Centrist party’s registration. 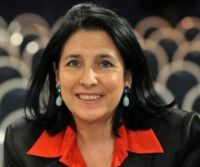 Tamar Kordzaia from the Republican Party called on her colleagues to support the lawsuit at the Constitutional Court. She drew attention to the 26th passage of the Constitution, which says that it is unacceptable to create a party which aims to offend the country’s independence. 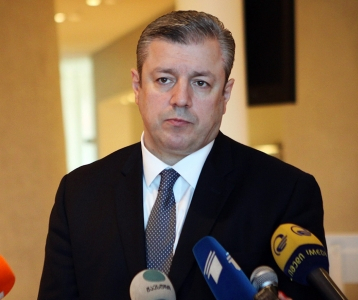 But Bedukadze went on Pirveli radio and warned his critics, calling them ‘traitors’ and ‘enemies.’ He told the Republicans and other parties that they are ‘playing with fire’, and said the only person he agrees with is former Prime Minister Bidzina Ivanishvili, and the only person he obeys is the Patriarch. Bedukadze said in a previous interview with Maestro in June that he has been promised by Russian authorities that the refugees can go home if his policies are followed. Over two hundred thousand people are internally displaced in Georgia from several war since the 1990s. Interpressnews quoted a representative of Communications Commission who said that they are going to examine the airing of the Centrists’ election ad. Although Bedukadze was the whistleblower in the prison abuse scandal in 2012, he was also put on trial for involvement with the torture of prisoners after the change of government. 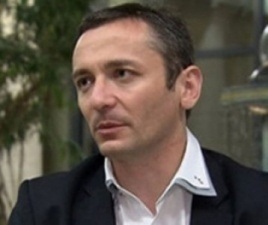 A criminal case was launched against him as he was an employee of Gldani prison in Tbilisi, where most of the prison abuse scandal videos were shot, videos which Bedukadze made available to the media two weeks before the parliamentary election that year, possibly changing the outcome of that election in favor of Georgian Dream. But during the trial, the court dismissed the case against Bedukadze and released him, based on a request by the former chief prosecutor, Archil Kbilashvili, who explained that Bedukadze ‘cooperated with the investigation for special conditions’.The release of the abuse videos led to an outburst of anger towards the Saakashvili government and may have played a role in defeating the president’s party in the election.